We were checking out some thrift stores when Aaron spotted this Intertia Nutcracker. It was fascinating! No prior skill or practice needed! It was chosen to crack the pecans for the Apollo 13 and 14 moon missions! That sold us. 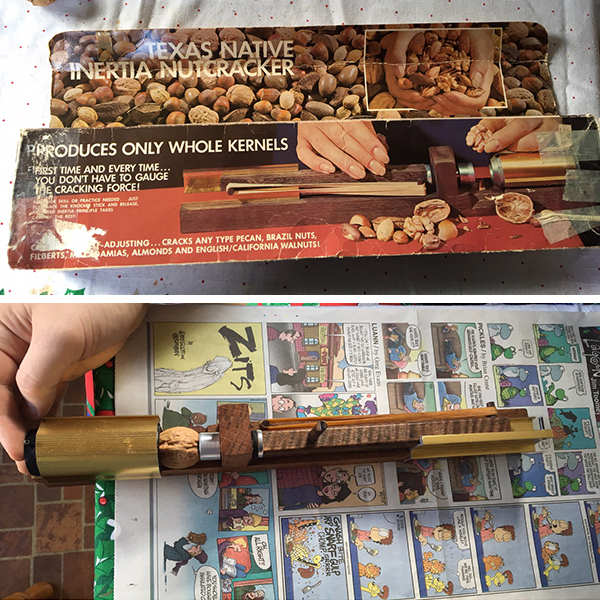 We found this inertia nutcracker at a thrift store & it has provednto be effective & entertaining. 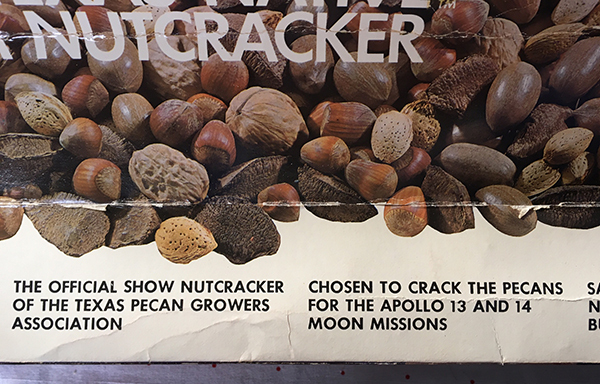 It's the official show nutcracker of the Texas Pecan Growers Association & cracked the pecans for the Apollo 13 & 14 moon missions. It turned to be very effective and entertaining to boot!